In effect, choosing between a SaaS ecommerce solution and a self-hosted one is the act of deciding what matters most to your business. It is focusing on the things that will move your company forward toward its goals. It might even be a manifestation of your business philosophy. 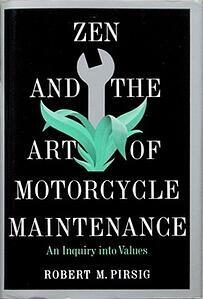 I thought about using one of my favorite books, "Zen and the Art of Motorcycle Maintenance" as a parable to illustrate the value of a SaaS eCommerce platform. Philosophy, in fact, is the reason for this post's derivative title, taken from Robert M. Pirsig's 1974 novel, "Zen and the Art of Motorcycle Maintenance." Pirsig's tale is the fictionalized, autobiographical story of a road trip from Minnesota to Northern California. Pirsig uses the story and its dialogue to explore and examine different ways of looking at the world, or, perhaps, different ways of facing problems and making decisions. 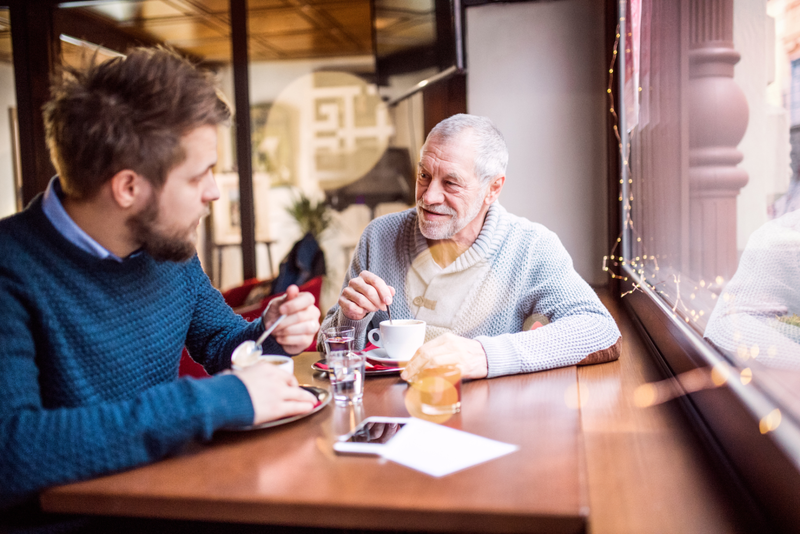 Let's apply Pirsig's method of examining decisions and consider a fictional entrepreneur named Plato Menos, and his conversation with his mentor, John Able. "It feels like climbing a mountain," Plato Menos said between sips of a hot breve latte. "I mean, I am still really excited. The products look great. I have been working on packaging design, which is fun, but it seems like every step forward, the path, the mountain I am climbing gets steeper." "What are you struggling to climb?" asked John Able, Menos' gray-bearded coffee companion. Able is a family friend, who had started a successful chain of automatic car washes in the 1990s. When Menos decided to start his own business nearly a year ago, he'd begun to meet once a week with Able to talk through his entrepreneurial experience. "It's the website. I met this week with three different web development agencies. They each want a lot of money to get the site designed, built, and running, but the thing that surprised me the most is how much it is going to cost to keep it going. "I mean I thought building the site would be the expensive part, and then once it was up and running it would be pretty easy." "What are they charging you to maintain it?" Able asked. "There are like four categories of expenses. First, I have to pay a software license fee just to use the ecommerce platform. There were a couple of options, but one solution, called Magento Commerce, is going to be $24,000 per year right out of the gate. There is a free version of Magento, I guess, but all three design firms said I really need the paid version." "Next, I have to pay hosting fees. The agencies would set up the servers, but this is still going to be something like $10,000 a year." "Then," Menos continued, "I have to pay the agency for maintenance. They want to sell me ten hours a month for $1,000. The idea is that the ten hours are used for a combination of development time and just to keep the servers up to date and running properly. If I need more hours, I have to pay $100 per hour, and I even have to pay by the hour to get an estimate of how long it will take for them to do the work." "That doesn't sound right," Able said. "That's not even everything. There is like another $500 a month they want me to invest for PCI compliance. Basically a service to make sure the site is secure for my customers. John, I am going to be spending something like $52,000 a year for my site before I even sell a single product. That is a heck of a lot to overcome to become profitable." "I don't think you need it," Able replied. "I really don't. My business is very different, I get that, but even my carwash site has a small store on it, selling t-shirts, hats, and stuff. "We used an online ecommerce platform. We just pay a flat monthly fee, and don't have to worry at all about servers, maintenance, or compliance. "I think it is a mistake to burden your business with so much overhead that it is going to be hard turn a profit." "What service are you using?" Menos asked. 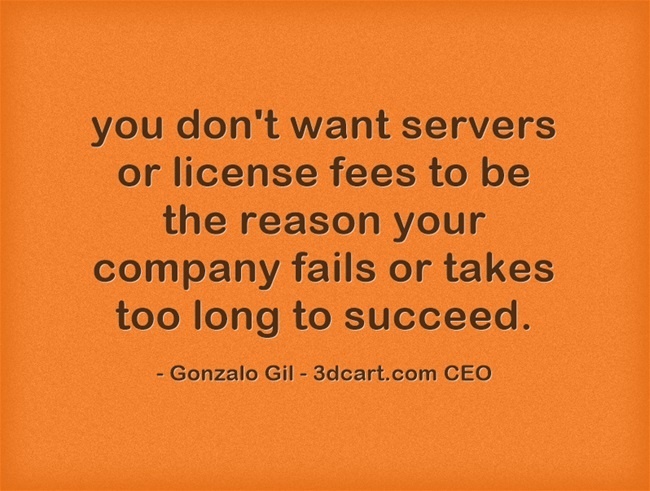 "We use 3dcart. But the category is called SaaS or software as a service. Basically, as I understand it, SaaS companies let you focus on what you do best, like selling and designing products. They take care of things you aren't an expert in, like the server maintenance. "Look, Plato, you don't want servers or license fees to be the reason your company fails or takes too long to succeed. You should focus on making the best possible products, letting customers know about those products, and delivering those products. That's my philosophy."